At the Fort Hood Army Wives’ Spring Expo, I met Angela of Caterpillar Corner. I love her adorable clothing for little girls and asked if she’d be interested in a photo shoot. 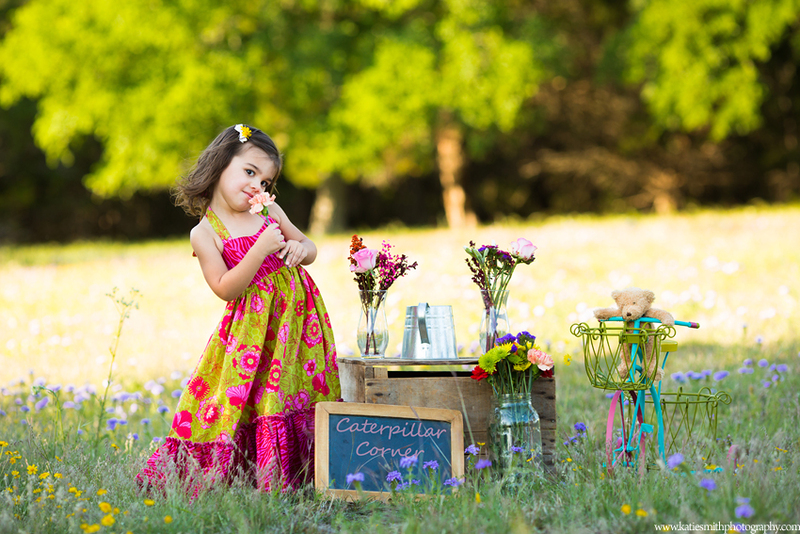 She said yes and I found a handful of the cutest little girls in Central Texas to model her dresses. All the dresses were so beautiful and well-made. My personal favorite is the roses and cream-colored dress modeled by the curly-haired cutie but I’m also loving the little red and blue romper. Too bad I have boys, right? Thankfully, I get to hang out with adorable little girls and have five neices back home that I photograph every chance I get. Have a special occassion coming up? 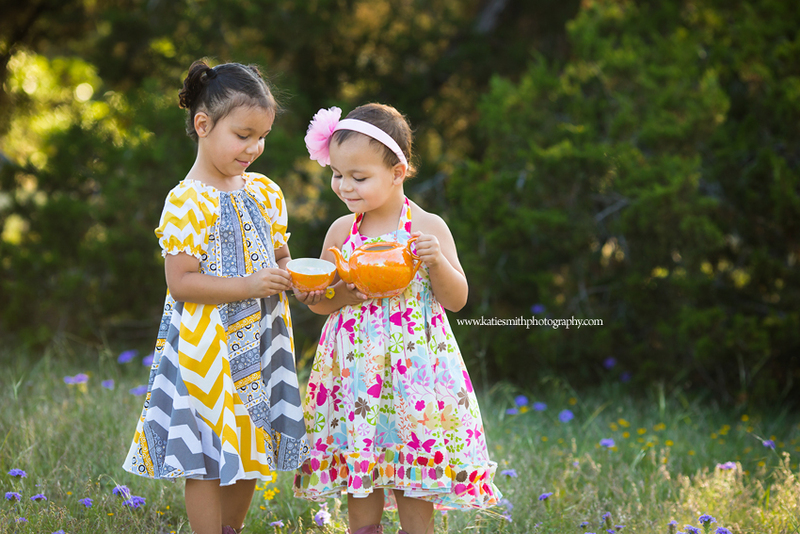 Need an adorable outfit for a photo session? 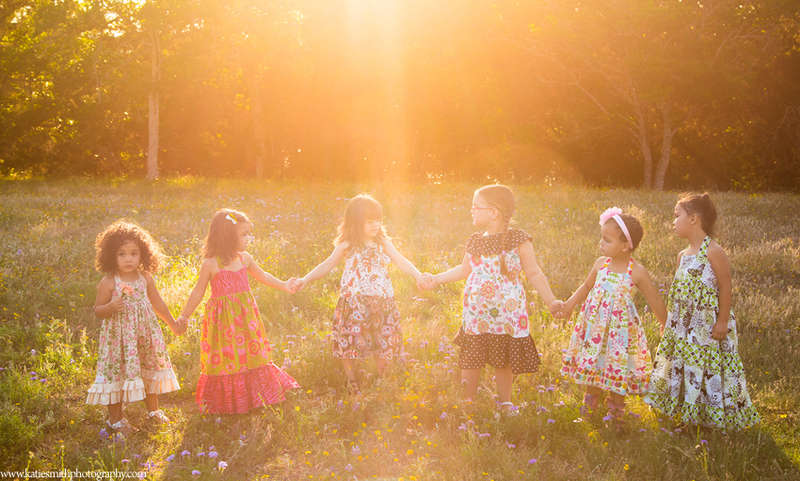 You’ll definitely want one of these dresses for your little princess. Or even for yourself! I’ll be ordering a skirt soon! Check out her work on Etsy and Facebook! Katie Smith is an on location photographer serving North Carolina’s Piedmont. She loves photographing young children and beautiful clothing.